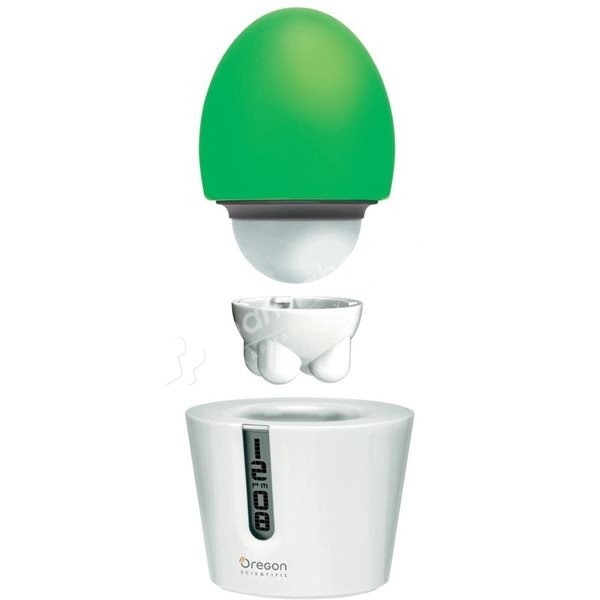 Oregon Scientific Mini Massager is designed to alleviate any tired body parts. Simply take out the upper massaging head and press on the troubled area. Oregon Scientific Mini Massager is designed to alleviate any tired body parts. Simply take out the upper massaging head and press on the troubled area. Releasing tension with its soothing vibration, the Mini Massager comes with 2 different attachments for spot-specific relief (single head nodule) or a more general soothing relief (multi-head nodule). Compact, portable, and with a built-in clock, the portable Mini Massager will be perfectly at home on any desk, bedside table or as a travel companion.